This toolkit was developed during a consulting project for a global manufacturing firm to design its business strategy and operating model. 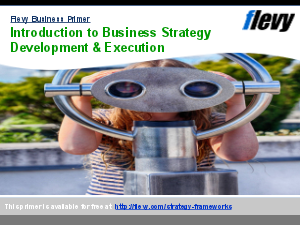 A structured, repeatable strategic planning process was developed for the firm's three SBUs for cascading their business strategy into their eight economic territories. This tool can guide you step-by-step to finish a strategic planning process for your organization. The Strategy Planning Process has three main steps. Strategic Planning? Total Quality Management? Bain Presentations? Or something else.